Simple weapons can prove astonishingly effective. The Flemish goedendag was a long wooden club, reinforced with iron rings binding and strengthening it. 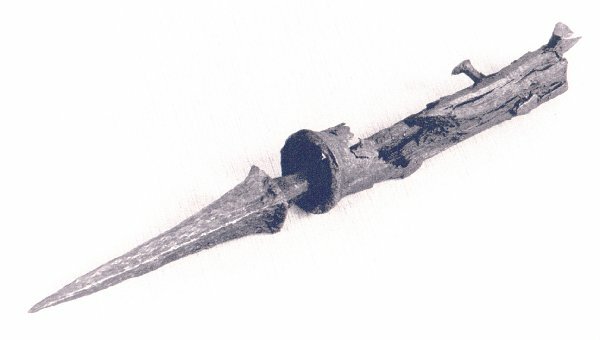 Illustrations show that it had an iron spike set into the end. It was not as long as a pike, which could be set into the ground, though it was longer than a sword. It did not need much training to wield, but its reach and weight made it fearsome. With its spike, it could be thrust at an enemy; used as a club, it could deliver crushing blows. The name goedendag is rarely used in the sources; Flemish chroniclers refer to the weapons simply as a spiked stave. The word itself means simply ‘Good day’, and the story goes that this was how the Flemings greeted people. A reply in French was met with a blow from the club. A magnificent carved wooden chest, celebrating the Battle of Courtrai in 1302, shows the Flemish urban levies armed with their goedendags. The chronicler Froissart described the Flemings equipped in the same way at the Battle of Roosebeke in 1382: ‘each man had a staff with an iron point and bound round with iron’. On this occasion, the French battle-axes and maces proved more effective, and the brief heyday of the goedendag was over.